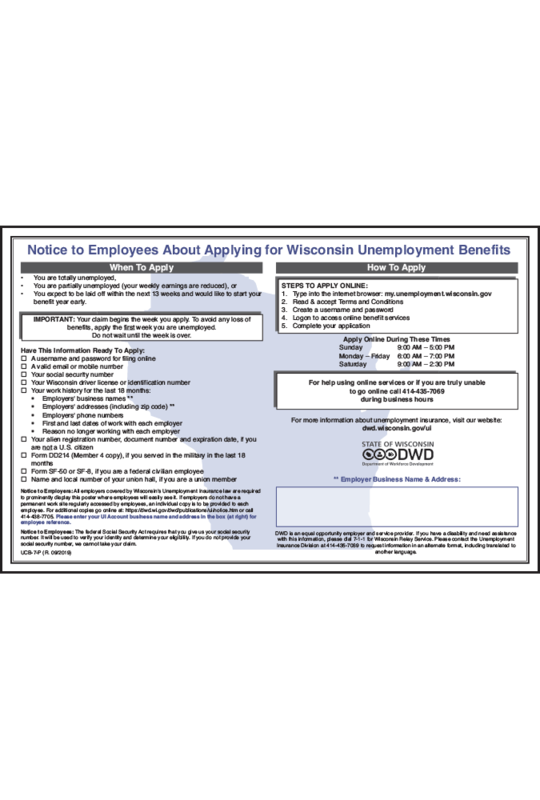 Update your Wisconsin All-On-One™ or Mobile Poster Pak™ with this 2017 Unemployment Insurance Peel ‘N Post™ sticker. needing information in alternative formats or languages. 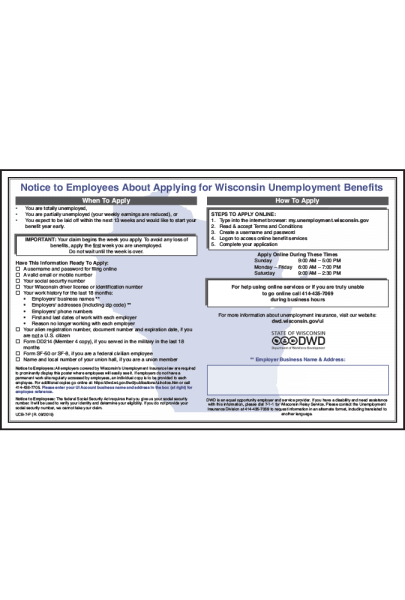 All employers covered by Wisconsin’s Unemployment Insurance Law are required to display the Unemployment Insurance posting in a conspicuous place (Wisconsin Administrative Code, DWD 120.01).